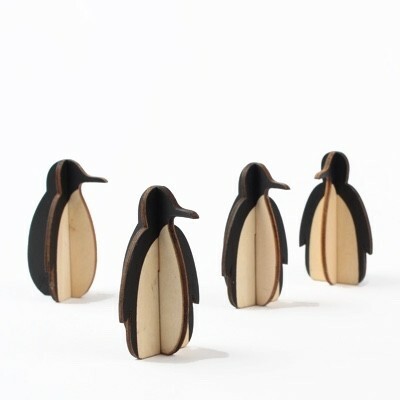 These playful little decorations from design Ideas are a perfect addition to our have been our best selling christmas product Design Ideas Tux Penguins 12pk. Made from laser cut poplar wood they come in packs of 8 ready for assembly. They make wonderful gifts as decorations for the table or window cill.